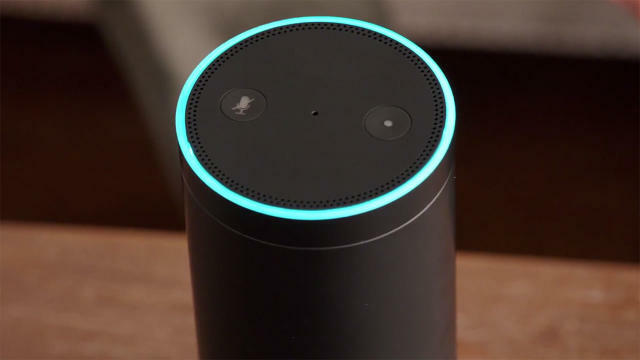 Amazon released another “intelligent personal assistant” last week. The gadget itself is interesting, but it’s getting more attention for its ‘cheesy advertisement’. Is it really that bad??? Read the article (alone or with a tutor) and watch the video. See if you can apply these technology-related expressions to your favorite electronic devices: gadget, bark, activation, command, handy. – Set an alarm for 8 a.m.
– How many teaspoons are in a tablespoon? – Will it rain tomorrow? – Add gelato to my shopping list. (P1) What is Echo? What do you need to do to activate the machine? What things can you do with Echo? What things would you like to do with Echo? Do you think you’ll buy Echo if it’s available in your country? Why or why not? What do you think of “intelligent personal assistants” developed by different companies? What potential do you see in this technology?